"Constitution Day," marks the anniversary of the adoption of the U.S. Constitution on Sept. 17, 1787. James Madison is considered the "father of the Constitution," and Harvard Law professor Noah Feldman is coming out with a new book about him in October, "The Three Lives of James Madison: Genius, Partisan, President." Feldman says Madison was a politician with a long-term view. He wanted a government of the people — a republic, but not an empire. Madison left office more popular than any of his predecessor presidents. "Madison was modest in his personal manner, to a fault perhaps, but he was not modest in his aspirations," Feldman said. His mission was solving what he considered the fundamental problem of Republican politics: How do you have a government that is of the people that neither controls the people nor allows itself to be dominated by whoever happens to be the majority of the people? His solution was to expand the size of the republic so that different factions that formed would ultimately not take over, but would interact with each other in a way that balanced the government. The key part of his plan gave the federal government direct power to control what the state legislatures did. "He called this a national negative," Feldman said. "A negative meaning the right for some entity, probably Congress, although there was some discussion about how it should be arranged, to say about any state law: 'Nope, we don't like it, it's out.'" In the Constitutional Convention, his idea of expanding the republic won, but his plan to expand power of the government lost — on nine separate occasions. Despite those failures, Madison had successfully changed the build of government in the United States and had created what would come to be known as federalism. "Today, that model of federalism is in use all over the world," Feldman said. 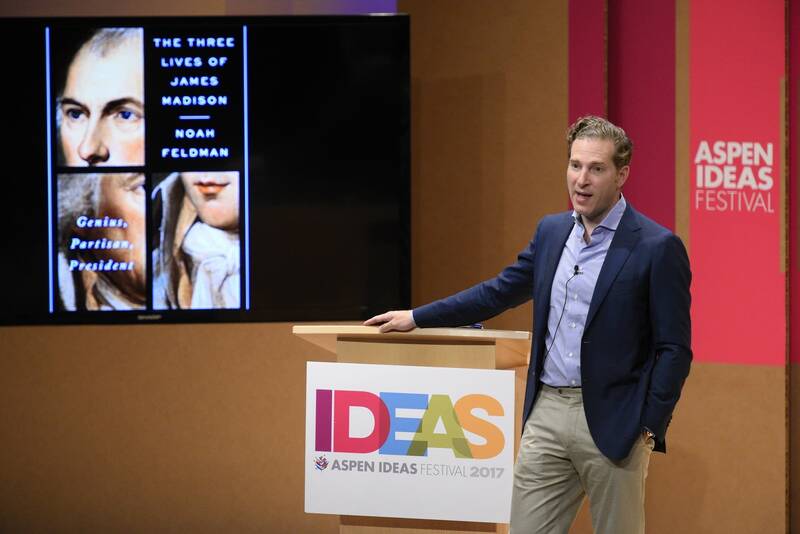 Feldman spoke at the Aspen Ideas Festival in Aspen, Colo., on June 26, 2017. To hear the speech, click the audio player above. • Debate: Should the U.S. Constitution be amended? • Are the founding fathers overrated?